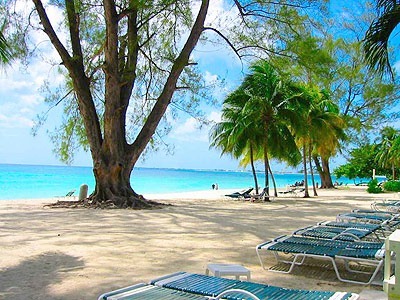 Cayman Islands consists of 3 islands, of which the Grand Cayman is the largest. 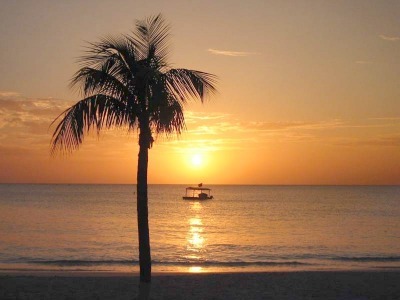 Grand Cayman island also hosts George Town, which is the capital of Cayman Islands. Seven Mile Beach, located on the west coast of George Town, is regarded as one of the best beaches in the world. George Town is a beautiful and alluring area of the Cayman Islands with much to offer to travelers from all around the world. Most travelers find George Town an exciting port of call when cruising the Caribbean. Cruise ships usually anchor in the harbor; after that the passengers are transferred to either Northern or Southern cruise ship dock of George Town port. It's very convenient because both of these docks are located right in the center of George Town and you can start enjoying all that this beautiful island has to offer right away. George Town offers a fascinating plethora of activities and attractions, including three within immediate walking distance from the port - the Cayman Islands National Museum, the Cayman Maritime Treasure Museum and the remains of Fort George, a fortress built in 1790 to protect the harbor. Those who enjoy multimedia shows may also wish to consider a visit to the Pedro Saint James Castle, which is a stone structure created in 1780, much of which was preserved in its natural state and is now host to hourly multimedia displays. 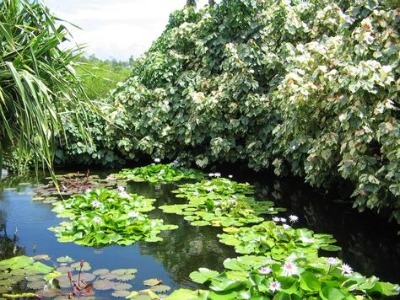 Another place you may want to visit is the Queen Elizabeth II Botanic Park. There is much to observe in these famous gardens and it is not uncommon to come face to face with endemic blue iguanas when walking one of the many nature trails of this 1900s Cayman sand garden and farmhouse. You should also stop by Seven Mile Beach - an amazing beach that is perhaps the most popular spot of cruise travelers. There are a number of outdoor cafes and restaurants located directly on the shore, many of which can be seen when pulling into port. In addition, local eateries such as the Sunset House and Breezes by the Bay are located in downtown George Town. Those who enjoy contemporary international fare may wish to visit the Bacchus Restaurant and Wine Bar where the menu changes on a daily basis. For an alternative experience, one may visit the Sapphire Lounge, the island's only authentic martini lounge. One can choose from an impressive 225 different cocktails and over 125 unique martini creations. For those who find the cozy atmosphere of a genuine Irish Pub enjoyable, Fidel Murphy's Irish Pub is the perfect choice. Vacationers who prefer a sports bar will not want to miss a trip to Legendz, the busiest and most popular sports bar on the island. Although many walkable shopping and dining areas lie throughout the George Town harbor, areas such as Seven Mile Beach and many of the bars and lounges are not within walking distance. However, getting around George Town is not difficult as taxis are readily available at the cruise docks and at every resort. In addition, bus transportation is available and the Grand Cayman public bus system is an excellent way to transverse the island for a nominal fee. Buses are easily identified by blue license plates and daily service typically starts at 6am. The Cayman Islands has its own currency named Cayman Island Dollar. A US dollar is worth about 80 cents in Cayman dollars. You can, however, use US dollars for pretty much all your shopping and meals. The official language is English. Should you need to use the internet, you can easily find cafes and shops in George Town center that offer wifi service. Here is the Seven Mile Beach, considered to be one of the best beaches in the world. You will enjoy many beautiful moments in Queen Elizabeth II Botanic Park. 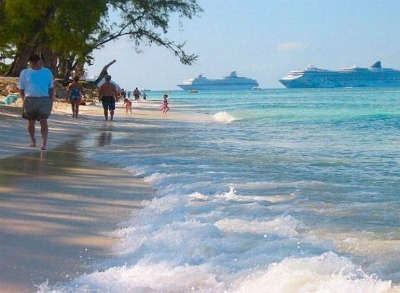 Cruise travelers enjoying the beach while cruise ships are anchored near George Town.